Smart thinking! That’s the reaction many had when Sudha Shetty told the story of how she reached women in Seattle’s South Asian community who may have been victims of abuse. As the then-head of Chaya, a domestic violence prevention program, Shetty tried to speak at numerous public events in order to raise awareness of the issue. 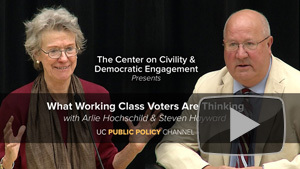 But after being rebuffed again and again, she figured out how to bypass the podium gatekeepers. She printed Chaya business cards listing resources for victims and placed them in the women’s bathrooms, thereby avoiding the scornful gaze of the male event organizers. 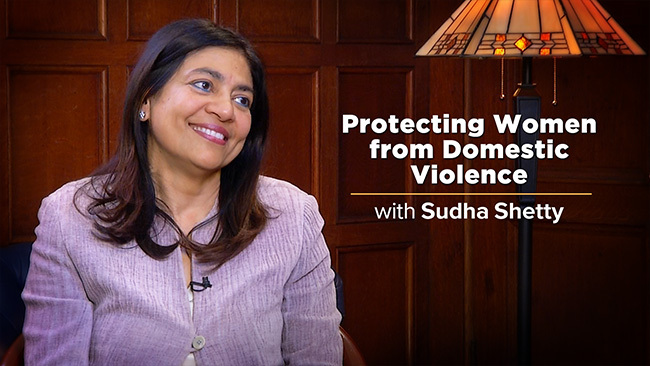 Hear more about this and other ways Shetty is now helping women as the director of the Hague Domestic Violence Project and the assistant dean of the Goldman School of Public Policy at UC Berkeley. 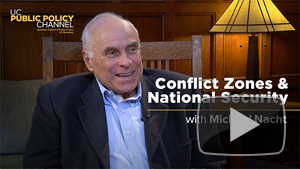 First, the former Assistant Secretary of Defense and former dean Michael Nacht surveys the globe with an assessment of hot spots awaiting the new president. Next, the Public Policy Channel launches a new series, Millennial Voices Heard at Goldman, featuring graduate students advocating on issues they care about. 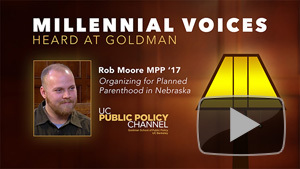 Hear why Charlotte Hill is taking a year off from school to fight anticorruption in government through represent.us, and then check out Rob Moore as he tells of his political awakening as an organizer for Planned Parenthood in Nebraska. 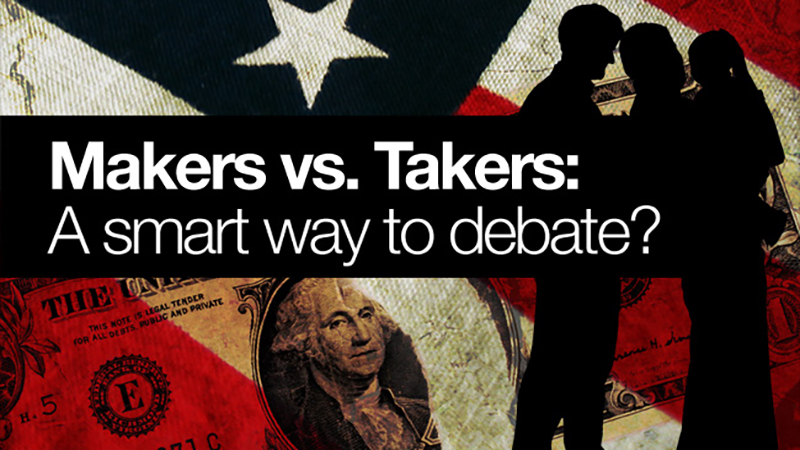 Real world experiences informing public policy – that’s what Goldman is all about. 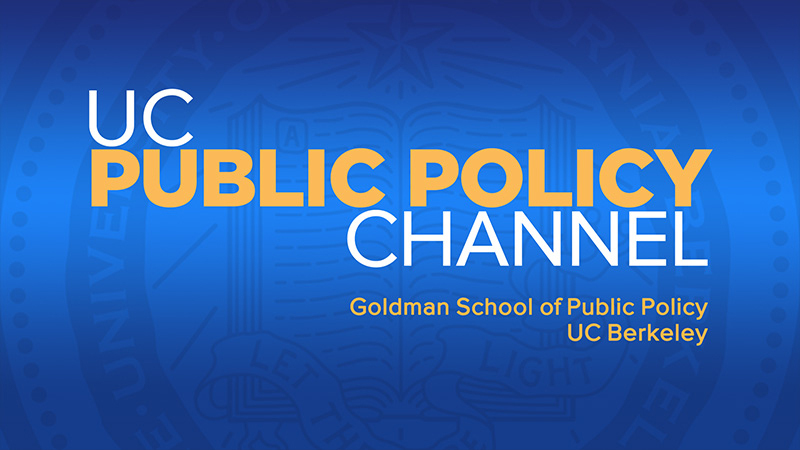 Browse more programs on the Public Policy Channel.